This is a poor but interesting area with some good seafood restaurants. 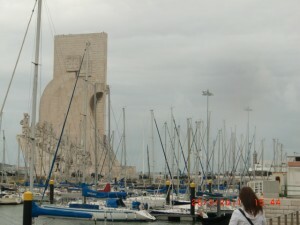 You pass through it on the way to see the imposing Christo Rei statue that overlooks Lisbon across the Tagus river. Take Bus 101 from the left side of the station exit to Christo Rei and enjoy the views during the short 10-15 mins journey. Or walk along the riverfront to the elevator and follow uphill. There are some wonderful views from the top of the 28m tall statue (don’t worry -there’s a lift!) but be prepared! It’ll almost certainly be breezy up there. Best also to choose a sunny day. You get a fantastic, sweeping view of Lisbon and great close ups of the busy and noisy rail and road traffic on the Ponte 25 de Abril (25th of April bridge). And there’s lots of religious memoribilia to buy in the shop afterwards. Instead of making your way back by bus to the bus station, can I suggest you walk back, downhill on the main road and to the Casa Da Cerca (Centre for Contemporary Art) with a nice botanical garden and river views? 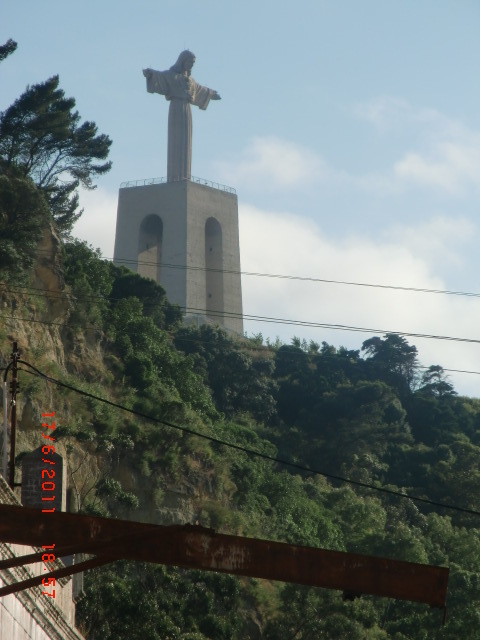 Then stop for refreshments at the restaurant nearby with more great views before taking the cheap (50cents per person) Elevador Boca do Vento (lift) which connects this bit of Almada to the rivers’ former Olho de Boi shipyards. If you have time, turn left and stroll along to a cobblestone street to see what’s left of industry in this area as well as a number of derelict but interesting buildings. If not, turn right and walk along the old, deserted quay towards the ferry. The oldest buildings on this quay date back to the late 17th century. 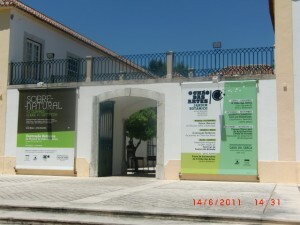 There are some wonderful photo opportunities en route and two great restaurants (see below). Another great but little know sight close to the bus station is the Dom Fernando II and Glória Frigate, one of six of these type of ships left in the world, apparently. This was the last frigate under sail of the Portuguese navy. 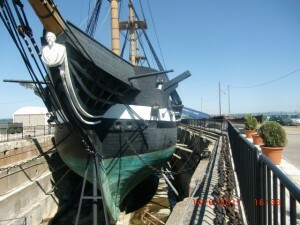 The 50 gun frigate was launched in 1843 and her maiden voyage took place in 1845. She served as the Naval Artillery School from 1865 and her last voyage was in 1878. She was almost destroyed by fire in 1963 and for 27 years lay derelict until restoration started in 1990 when she was recovered and restored to her 1865 condition., She’s been a wonderful museum ship since 1998. 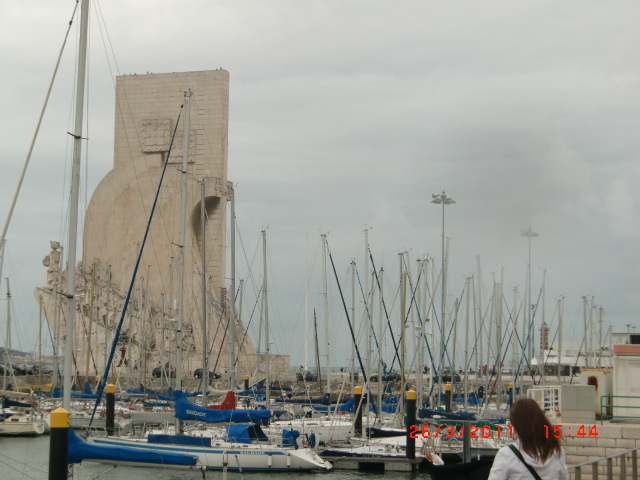 In high season it may be possible to get a ferry back to Belem, from either Porto Brandão or Trafaria. This gives you a fantastic view of Belem’s sights and the Monument to the Discoveries in particular, and is highly recommend.